Great Britain were beaten by a clinical Australia 2-0 in their double header weekend at the Women’s Hockey Champions Trophy in China. First half goals from Brooke Peris and Kalindi Commerford handed Australia their second successive win of their campaign. 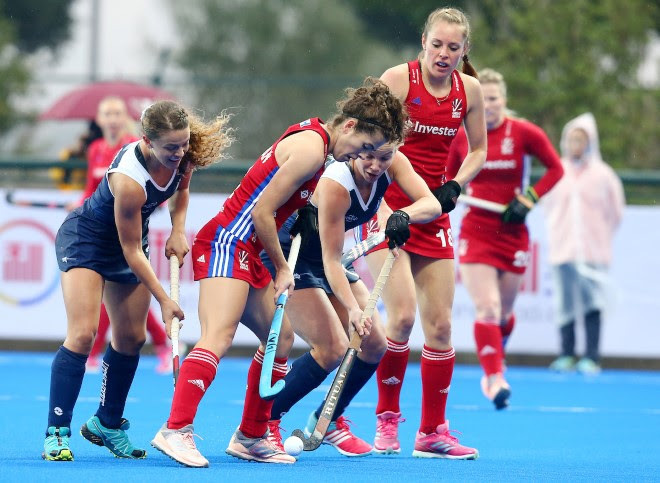 Great Britain are yet to find a win after their 2-2 draw on Saturday. After an opening salvo where Australia were firmly on the front foot – Stephanie Kershaw in particular showing attacking intent – Peris opened the scoring for Australia in the ninth minute when she deflected a shot from Greta Hayes past goalkeeper Amy Tennant. Commerford, who celebrated her 24th birthday today, then sneaked the ball past Tennant in the dying seconds of the first half. “We’ve talked about it a lot and it’s time to show those actions,” said Peris of the Hockeyroos’ team culture. Ashlee Wells had an impressive first half, denying two penalty corners opportunities for Great Britain. After the break, Rosie Malone was handed a green card in the 40th minute but the Hockeyroos were able to withstand Great Britain’s offensive push until she returned. There was plenty of attack from GB in the second half but Australia defended well, restricting the likes of Hannah Martin and Sarah Robertson to half chances, while Rachael Lynch was in great form in goal to deny the Olympic champions. Great Britain play Japan at 10am GMT on Tuesday as they look to clinch their first win of the tournament.